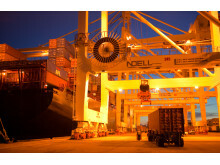 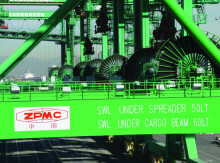 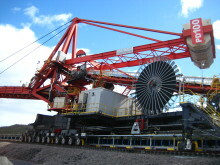 Reel power: Cavotec motorised cable reels on the ZPMC cranes at PTP in Malaysia. 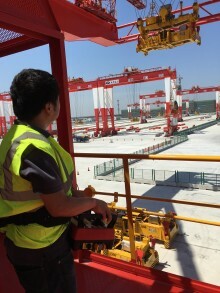 The cranes, now installed at the Port of Tanjung Pelepas (PTP) in Malaysia, are also the second tallest STS cranes currently in service; the tallest, made by Chinese crane manufacturer ZPMC for DP World, are in Dubai. 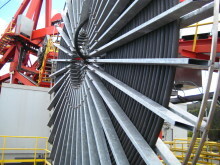 For this application, Cavotec has supplied eight electrical power reels with drums measuring 6.4m, and eight spreader reels with a maximum lifting distance of 73.5m. 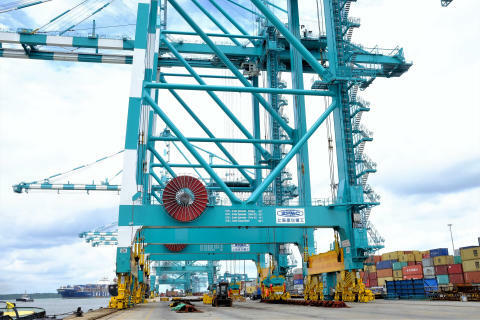 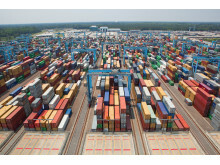 This equipment will enable PTP’s container terminal to optimise container handling in terms of productivity, safety and environmental performance. 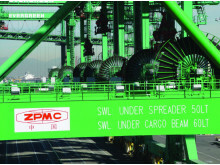 Recently, Cavotec built one of the world’s largest mono-spiral motorised cable reels, with a drum diameter of 9.2m, for ZPMC for several STS cranes installed in ports in Asia and Europe. 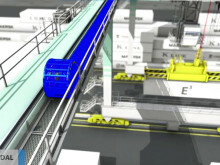 Learn more about how our latest innovations are optimising crane electrification here.